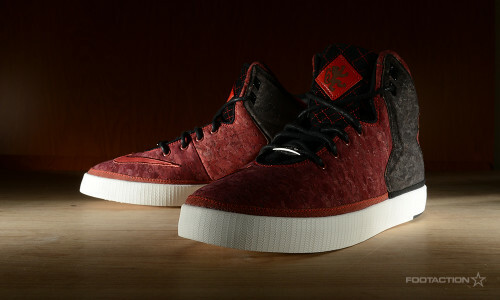 The Nike LeBron 11 Lifestyle University Red Cork is a spin on the proper LeBron 11 “Cork” which incorporates the same material. For this go around, we see the sneaker with a University Red treatment with Black overlays, White midsole, all sitting atop a White vulcanized sole. Let us know what you think about the new look in the comments. Print article This entry was posted by hhcblog on July 19, 2014 at 4:00 am, and is filed under Footwear. Follow any responses to this post through RSS 2.0. You can leave a response or trackback from your own site.